from 20 up to 120 liter with DIN-screw connection and optionally available accessories. 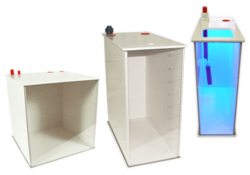 Please choose your customized Water tank. Also in ECO-grey and/or with red welds available! We offer differ payment and shipping methods for a fast processing. We are glad to calculate and inform about the shipping costs in advance.